Located in East Fort Lauderdale, W Fort Lauderdale is adjacent to Fort Lauderdale Beach and within a 10-minute walk of other popular attractions like Las Olas Beach. This 450-room, 4.5-star hotel welcomes business and leisure travelers with 2 outdoor pools, a full-service spa, and 3 restaurants. Enjoy dining at Steak 954, one of 3 onsite restaurants. Savor a meal from the privacy of your room with 24-hour room service, or get a pick-me-up at the coffee shop/café. For your convenience, a cooked-to-order breakfast is served for a fee each morning from 7:00 AM to 11:30 AM. A 50-inch TV comes with cable channels, and guests can stay connected with WiFi and wired Internet. Beds are dressed in premium bedding and pillow menus, and the bathroom offers a hair dryer and free toiletries. Other standard amenities include a minibar, a coffee maker, and free bottled water. Guests of W Fort Lauderdale have access to a full-service spa, 2 outdoor pools, and a fitness center. Valet parking is offered for USD 42 per night. The front desk has multilingual staff on hand 24/7 to help with securing valuables, concierge services, and luggage storage. Other amenities at this beach hotel include a spa tub, free WiFi in public areas, and conference space. 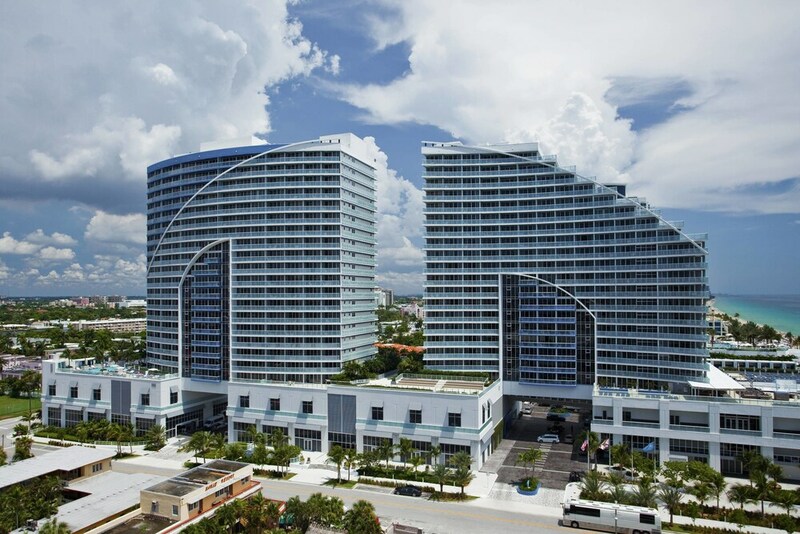 W Fort Lauderdale features a full-service spa, 2 outdoor swimming pools, a spa tub, and a fitness center. Dining is available at one of the hotel's 3 restaurants and guests can grab coffee at the coffee shop/café. Guests can unwind with a drink at one of the hotel's bars, which include 2 bars/lounges and a poolside bar. Public areas are equipped with complimentary wireless Internet access. This 4.5-star property offers access to a business center. Event facilities measuring 12400 square feet (1152 square meters) include conference space. This luxury hotel also offers spa services, a terrace, and tour/ticket assistance. Parking is available onsite for a surcharge. A total renovation of this property was completed in 2016. W Fort Lauderdale is a smoke-free property. W Fort Lauderdale offers 450 accommodations with minibars and safes. Beds feature premium bedding. A pillow menu is available. Cable television is provided. Bathrooms include bathtubs or showers, bathrobes, complimentary toiletries, and hair dryers. This Fort Lauderdale hotel provides wired and wireless Internet access for a surcharge. Business-friendly amenities include desks and phones. Additionally, rooms include complimentary bottled water and coffee/tea makers. Housekeeping is provided daily. Cooked-to-order breakfasts are available for a surcharge and are served each morning between 7:00 AM and 11:30 AM. Start your morning with a cooked-to-order breakfast, available each day from 7:00 AM to 11:30 AM for a surcharge. Room service is available around the clock. Rollaway/extra beds are available for USD 30.